The world today is filled with opportunities and people are redefining what it means to be an entrepreneur. Whether it is successfully launching a breakthrough idea, identifying a gap in the market to buy a franchise or existing business, or establishing a consulting or advisory services business, today’s NEW entrepreneurs share a passion to pursue a business of their own. We all have an entrepreneur somewhere inside us. Do you have the desire to exercise your entrepreneurial spirit, but are unsure how to take that first step? Then The New Entrepreneur is for you… If you are already a business owner, you may benefit from its practical tips and the many insights shared by other successful entrepreneurs. 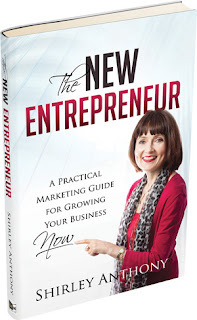 This practical marketing guide reveals the strategies that entrepreneurs, who have built sustainable businesses, have implemented to overcome their business and personal challenges. Gain insights from the likes of Peter Vundla, co-founder of the first black-owned South African advertising agency, Jenna Clifford, Kevin Hedderwick, Group Chief Executive of Famous Brands, Andy Rice and Ludwick Marishane, Global Student Entrepreneur of the Year in 2011. Uncover practical tips and insights for starting, growing and sustaining a business of your own. How to write a ‘living’ marketing plan. Shirley Anthony is an author, speaker and owner of Marketing Breakthroughs, a marketing consultancy operating for over 20 years. Having initially gained corporate experience in fast-moving consumer goods branding, she has consulted in over 24 industries including cellular, information technology, travel, engineering, food, cosmetics, architecture and banking. This diverse experience, together with managing her own consulting practice, has given her first-hand insight into the challenges business owners face and possible solutions for overcoming them. She shares her own learnings and those from many other entrepreneurs, in a practical and entertaining style. A compelling read for both would-be and current business owners. I particularly liked the practical marketing tips and the engaging anecdotes from successful entrepreneurs. 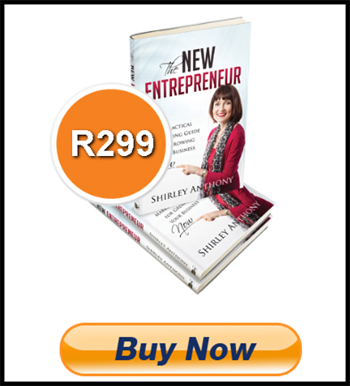 Shirley Anthony’s The NEW Entrepreneur, written for existing business owners and new entrepreneurs, is unlike many books in this genre, as it brings an extremely strong and welcome marketing orientation to entrepreneurship. Written in an entertaining and easy-to-read fashion, The NEW Entrepreneur uses case studies and anecdotal events to assist in delving deep into entrepreneurship. A cherry on top is the personal development guides for the new entrepreneur! Shirley Anthony’s book is a godsend for budding entrepreneurs. Not only is it a concise and practical guide to the intricacies of successful marketing, but, and perhaps more importantly, it is full to the brim with advice on how to navigate a path through the emotional highs and lows that face the first-time business owner. Brand wisdom and therapy . . . what more do you need? This is a must read for any budding entrepreneur or business owner seeking inspiration. I loved the chapter on overcoming personal obstacles, especially dealing with the fear that entrepreneurs can experience. “Faith it until you make it” is great advice. Entrepreneur and author Shirley Anthony is both honest and generous as she shares her successes and challenges on what works in building a successful business and what doesn’t! The NEW Entrepreneur deals with the topic of entrepreneurship in a holistic manner. It’s more than just practical hints and tips on what to do and how to do it, but covers the all-important aspects of mind set, loneliness, ethics, attitude and motivation. A refreshing read!